Globally we have seen many countries that recently went through a wave of right wing or nationalist populism.In Britain, we saw the political party UKIP, that led Brexit. In France, we saw the National Front’s Marine Le Pen. In Netherlands, we saw the party of Geert Wilders. In Germany, we see the extremist right wing party, Alternative for Deustchland in action. In US, Donald Trump’s electoral appeal had also been a right wing populism. In Australia, we see Pauline Hanson’s One Nation Party. Sri Lanka has Galagoda Atte Gnanasara and his Bodu Bala Senawa (BBS). Put to the test, all these right wing nationalist parties seem to flounder and falter in their midstream. They eventually realize that although they can disrupt, they cannot sustain power in the long run. UKIP is down, Le Pan was defeated badly. Wilders is gone. The German one is struggling and There is evidence that the failings of One Nation are eroding party support. One Nation is being investigated over charges of money laundering.Over short time, BBS will face the same music. However, the danger to the body politic is that even their temporary successes can unleash a lot of longterm damage. Western European countries have an inherent strength to survive such aberrations. But Sri Lanka? We are just trying to raise our heads from the destruction of a thirty-year war and a debt-clad economy. Basically, populists seek popularity by trying to present simple solutions to complex questions that concern people. A politically inclined person with a sense of over-inflated ego would pick up such a path in his quest for power over others. It is a manifestation of the will to power (der Wille zur Macht), which Friedrich Nietzsche spoke of as the main driving force of such individuals -– achievement, ambition, and the striving to reach the highest possible position in life. Galagoda Atte Gnanasara is a man like that. He is dressed in robes and has a controversial past. But that robe protects him in the first place. The Buddha himself regarded the robe as a mere insignia for identity by others that its wearer is a mendicant-living on the alms of well-meaning citizens. He warned his followers of charlatans in robes. In the popular Buddhism of the Sinhalese, however, people came round over the years to worship the insignia itself. Even the Tripitaka is referred to respectfully as “poth wahanse,” or the Bo tree “bodhin wahanse.” Sri Lanka’s governing politicians think twice and three times before tackling the man in the robe. So Gnanasara starts off with a privilege. This protection gives Gnanasara some security in his egoist, raucous, outbursts. The populist platform he has chosen constitutes his ideology for power. The possible evil consequences of his agenda to the broader system and polity isn’t his concern. 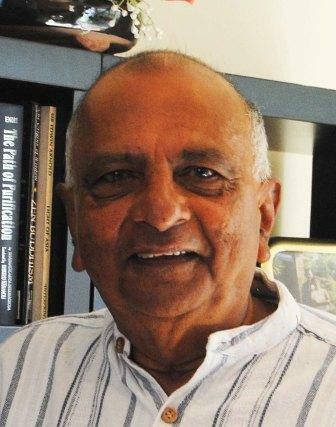 This man began his political career during the previous regime of Mahinda Rajapaksa. He must have been inspired by the Myanmar Buddhist monk, Wirathu. He must have had the backing of the government of the day.In fact, it was said that the then President’s powerful brother and Defence Secretary, Gotabaya, had a close association with him. Gnanasara first started off by attacking Christian Churches but soon switched on to a radical anti-Muslim stance. This itself shows he wasn’t sure of his cause to begin with.The destructive ramifications of his sectarian ideology on the socio-economic and political order is of little concern for people like Gnanasara. It is the myopia against Halal, against the head- dress of Muslim women, and the mosques that turns him on. This kind of line is easily picked up by a sizeable part of the majority population who gather around Gnansara and his BBS. Sinhalese small traders in particular, who see the Muslims as a threat, are in the BBS vanguard. These guys are essentially short sighted and out-of depth. There is a Sinhala saying, “looking up and spitting” (udabalagena kelagahanawa). This is what they do. Unlike the Rohingya in Myanmar, our Muslim population, comprising only ten per cent of the population, are too organically integrated with the rest of Sri Lankans-whether of the North, East or South. To try and tear them apart is like consuming one’s own flesh. Populist nationalist politics is all quick politics and it does bring quick results. The party cadres involved, gain access to big contributions voluntarily and by concealed force. This will happen to this movement, too, in due time. Like Don Quixote attacking windmills perceived as enemies, Gnanasara casts his eyes on any possible Muslim expansion and then he pounces with his goons in the BBS. He enters government offices and threatens public officials. He threatens police officials. Recently, Gnanasara threatened president Sirisena and Prime Minister Ranil Wickremasinghe and said he would send them home. He is so intoxicated and self delusional that he is out of touch with reality. 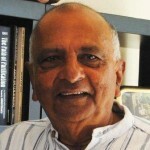 Gnanasara’s first Quixotic battle was the battle of Aluthgama. That was in 2013. Muslim shops were burnt down and some persons were killed or injured. The then government watched in silence. In February this year, he tried his pranks in the Homagama Magistrate’s court where he threatened Sandhya Ekneliyagoda, wife of the “missing” journalist, Ekneliyagoda, in front of the magistrate. This was a small break from his campaign against Muslims. The lady had come to court over the Habeas Corpus case of her husband, the journalist, who went “missing” during the era of the Rajapaksas. Gnanasara was gifted with a charge of contempt of court, and a charge of threatening the life of another, which he now faces. He appealed on medical grounds and the Court of Appeal has given him a date to reappear with medical reports. On May 20th, the week before Muslim Ramadan, Gnanasara had his next battle-the Battle of Kurunegala, where he incited mobs to go for the mosque and Muslim shops. The mosque at Thorayaya, near Ibbagamuwa, became target.“However,” says a report, “a team of law – enforcement officers led by a Supdt of Police stopped them on the Kurunegala-Dambula road and prevented them from proceeding further. In the altercation that ensued, Gnanasara Thero abused the Police in raw filth.” Gnanasara’s BBS goons threatened: “we will self -immolate ourselves.” At least, the goons got that bright idea! The government ,which all this time did nothing, suddenly jerked up and President Sirisena ordered the police to arrest Gnanasnara for incitement and intimidation. I would have expected this holy vandal to bravely surrender; but he did not. He has since gone into hiding. This particular response to police search gives Gnanasara’s real character away: He is basically a coward. It is the cowardice of the proverbial village thug (Game Chanadiya) who keeps challenging his opponent with his sarong tucked up until he actually perceives a counter attack from his enemy. At that point, the chandiya withdraws with a vacuous threat. In similar vein, the whole attack -game of this yellow-robed man is based on one assumption, namely, that a Muslim will not come up to him and give him a return challenge. Gnanasara imagines that such a response will result in what he wants: a social conflagration. I doubt that coming. As pointed out above, Muslims in our villagers have well integrated with the Sinhala people. A docile community, unlike their counterparts in Syria and the Middle East, these Muslims speak and write Sinhala very fluently and many of them have intermarried with the Sinhala. On the other hand, Gnanasara wants to convert his small community into jihadists like their overseas brethren. White Australians termed as ‘rejects’ in fact were convicts, exiled to Australia. Unfortunately, nations today do not have the benefit of sending their convicts in exile to other countries even though some law breakers escape the law, flee to countries with liberal laws and obtain asylum. You may theoretically argue white Australians are immigrants themselves. However, in the real world, those having lived in nation states and are citizens by descent rightfully claim the land to be theirs. Hence sovereign borders, passports and the need for visas for others to enter countries in which they are not citizens. Countries do admit foreigners, due to various requirements such as shortage of manpower. Not everybody in countries with openings to immigrants, welcome nor appreciate the arrival of immigrants, especially from cultures totally alien to theirs. Having arrived in countries with different cultures and customs, immigrants show little inclination to integrate and assimilate with locals, their culture and customs. The lack of social cohesion leads to multiple complications. Opposition to unrestricted immigration is branded as ‘right wing populism’ by local neo liberals and immigrants who have their own agendas. The likes of your good self should actually be agitating to rectify our own short comings. Why do Sri Lankans oppose ETCA along with Hambantota and Trincomalee Port projects? Why is Sri Lanka desperately trying to deport several hundred Pakistani Christians seeking refuge from religious persecution in Pakistan? Why is it so difficult for a foreigner to obtain a Work Permit in Sri Lanka? I cannot recollect reading of any articles by Sri Lankans residing in Sri Lanka and those who have now migrated calling for the liberalisation of Sri Lanka’s own immigration and emigration regulations. First agitate to correct our own mistakes and then take on the world’s mistakes.